Purpose. 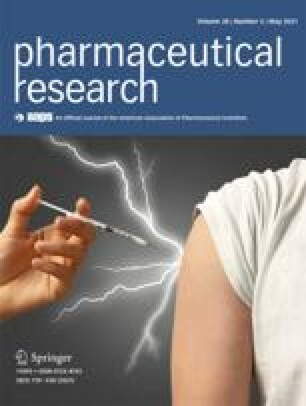 To improve target specificity and uptake of liposomes by macrophages, one can improve high-affinity receptor binding to mannose determinants with their 175-kDa mannose receptor (MR), which is mainly influenced by the length and flexibility of the spacer between the carbohydrate head group and liposome surface. Liposomes containing alkylmannosides with hydrophilic spacers 0 to 8 ethyleneoxy units (EO) long (Man0...Man8) were used to investigate systematically the effects of spacer length on liposome-cell interactions. Methods. Concanavalin A (ConA)-induced liposome aggregation was studied by turbidity measurement and cell uptake using PMA-induced HL-60 cells or native human macrophages by determining 6-CF after cell lysis or NBD-fluorescence with flow cytometry. Detection of MR in native cell populations was carried out by an antibody assay using flow cytometry; MR-representing cells were selected analytically. Results. Liposomes containing mannosides with more than one EO spacer length were specifically aggregated by ConA, indicating accessibility of the carbohydrate ligands of these derivatives. Increase in EO spacer units of incorporated mannosides (two or more EO) led to suppression of cellular uptake of mannosylated liposomes by phago- cytes lacking MR (HL60, U937). The extent of suppression increased with spacer length. Liposome uptake by native macrophages expressing MR was, on the contrary, improved, particularly by Man6 and Man8. Conclusions. Uptake of liposomes modified with Man6 or Man8 by native cells was enhanced but did not reach an optimum. Thus, Man6, Man8, and mannosides with even longer spacer arms are of potential use in receptor-mediated targeting.